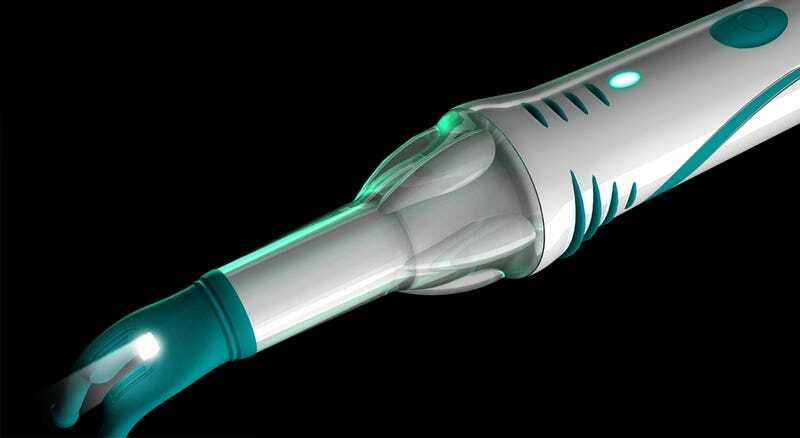 People of the world who hate hate HATE going to the dentist, rejoice: DentalVibe is a new device that completely eliminates the pain when they are sticking a stainless steel needle into your gums. All by cleverly fooling your brain. Developed by Dr. Steven G. Goldberg DDS and Bresslergroup, DentalVibe vibrates at irregular intervals. While the brain ignores rapid rhythmical vibration, it notices pulses that are not regular. These vibrations are transmitted by A-beta nerve fibers, which are faster than the slower C fibers that transmit the sensation of pain caused by the needle penetrating your gums.